Today is Day 4 of the Jaded Blossom June Release! We are showcasing 1 Stamp Set! I just love this set. 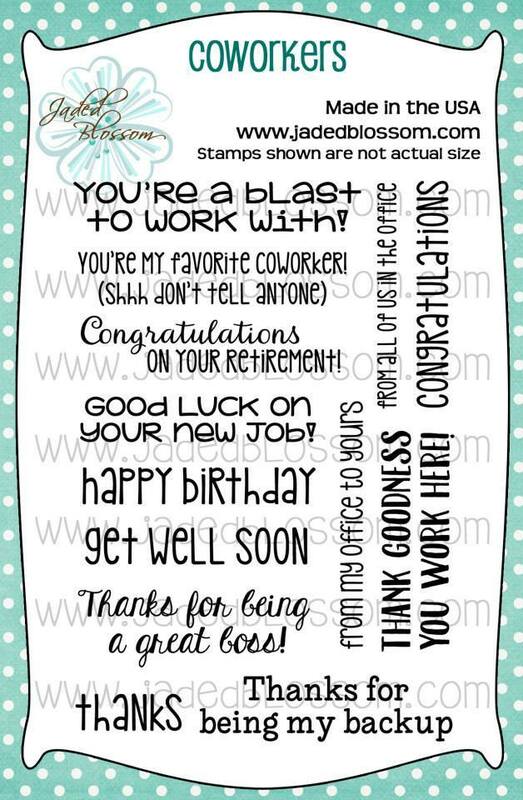 It's nice to have a set for creating cards and gifts for my coworkers. I think that they are going to enjoy this treat next week. 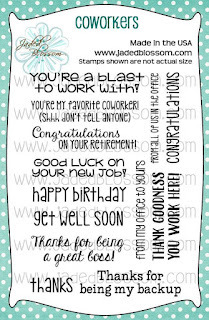 Today's card features Coworkers. 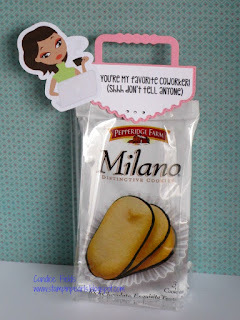 I used the Dainty Topper Die and Gusset Bags to package up the Milano cookies. My coworkers must be really special because I share Milano cookies with no one! I just love how this turned it. Don't forget to check out the Jaded Blossom Design Team projects! This is fantastic! Love the girl image!